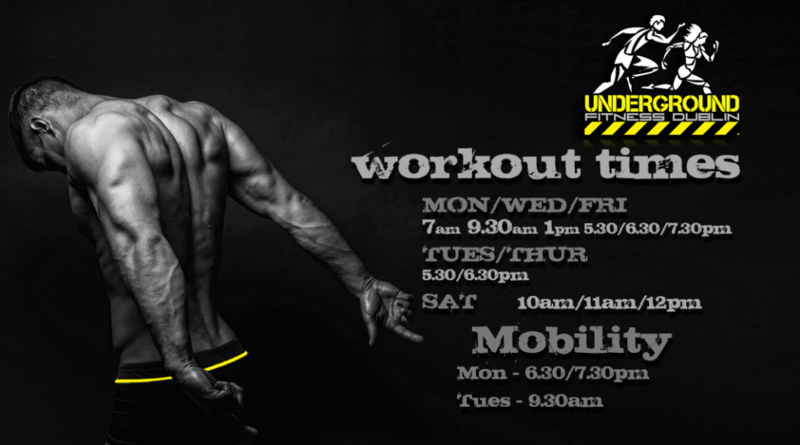 If you would like to try out the Underground you can avail of our FREE trial workout. Fill in the form below selecting the workout you would like to attend, and we will reply to you with a confirmation. Please request the day and workout time you wish to attend. Be sure to select the correct workout time from our schedule below (for example there is no 1pm on Thursday but the dropdown box allows for this). You can also ask any questions you may have in the comments box and we will reply promptly. All that’s left to do is prepare yourself for the ultimate workout experience! If you book your trial by January 27th you can get full access for a week. That gives you the full 25 workouts, so if you do your first workout 7.30pm on Monday your last trial class would be the following 6.30pm class. If you want to trial a day the following week, please leave the date required in the comments box.